Swedish DJ & Producer Airbase, known in real life as Jezper Söderlund, is one of trance music most critically acclaimed producers with quite an extensive history to his name. With iconic releases such as 'Escape", 'Denial (ft Floria Ambra)", 'Panache" & 'Modus Operandi" on esteemed labels as Intuition, Black Hole Recordings, Flashover Recordings & A State Of Trance and performances all over the world, Airbase is someone who always delivers the best. After taking a short break in 2013 and 2014, Airbase returned to his beloved trance scene with the illustrious single 'Panache", released on Ferry Corsten's infamous Flashover Recordings label. 'Panache" served as a terrific comeback to his longtime trance fans, immediately falling for that typical Airbase sound. Following the successful release of 'Panache", more singles followed in 2015 with 'Oil (Flashover)", 'Mondegreen (ASOT)" and 'Epoch (In Trance We Trust)" leading the way. Airbase was first introduced to the trance genre in 1995 when he left for a weekend of camp school. At the closing party of this weekend, a DJ was playing something he never heard before and he had to know what it was. The DJ handed him a note stating two tracks he played that night; 'Age Of Love – Age Of Love" and 'RMB – Matisse". Back home, he immediately went out and got himself these records, resulting in him falling head over heels in love with this music genre called trance. After starting off with Screamtracker, Airbase switched to Fasttracker and on to Cubase in late 1999, all loading in sounds from his hardware, believing this was the only way to do it. Until he came in contact with this new software called 'Propellerheads Reason', after which things went fast. 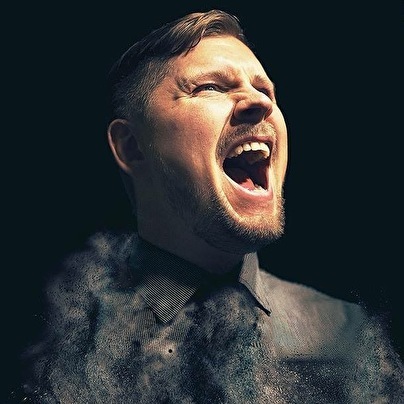 Within 6 months, Airbase produced and signed his very first record; Airbase – Emotion, after which new material was starting to come quickly and he signed on more labels under different aliases, such as Scarab, Ozono, J., Rah, Mono & Parc. Since his early career, Airbase has been a much sought after producer by iconic trance labels such as Black Hole Recordings, Armada Music, Platipus, Alphabet City and lately Flashover Recordings. He also ended up co-writing the Sensation White Anthem for 2004 in Belgium together with his brother André. Het Zweedse talent Airbase brengt ons zijn nieuwe album "We Might Fall". Een album waar hij twee jaar bloed, zweet en tranen in heeft gestopt. Weet hij ons omver te blazen met zijn Zweedse trancesound? TOPPPPER ! Op Luminosity was kei goed ! Helemaal uit mijn plaat op ML!! HELEMAAL GOED!!!!!! Voor het eerst kennis gemaakt op ML, ISOS, Helemaal Top....­! Dit zijn trancemeesters op het nivo van The Thrillseekers. Groter compliment kan ik niet geven! Airbase is maar 1 persoon hoor! Hij heet Jezper Söderlund en hij komt uit Zweden! Genie 2 is a genius!